Dubai, October 10, 2016: Rixos The Palm Dubai, the only luxury multi-concept resort in the UAE has been named as Middle East’s Leading Lifestyle Resort by World Travel Awards 2016 last September 29, 2016 at St. Regis Dubai. 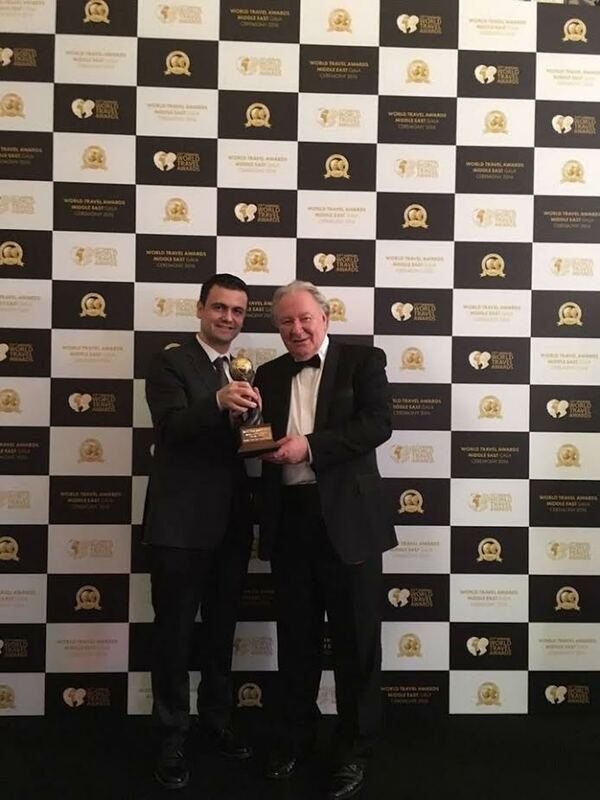 The award was received by Rixos The Palm Dubai’s Hotel Manager Mr. Cenk Unverdi in front of hoteliers and international media. Rixos The Palm Dubai has been continuously receiving recognition for being one of the most popular lifestyle destination in Dubai, with an impeccable location overlooking the Arabian Gulf and the Dubai skyline. Rixos The Palm is the UAE’s only luxury multi-concept resort. Located on an unrivalled spot on Palm Jumeirah’s Eastern Crescent, the resort boasts 230 guest rooms and suites, each commanding unparalleled views of the Arabian Gulf and Dubai’s panoramic skyline. Thevarious restaurants and bars provide a dynamic dining and night-life experience whilst Anjana Spa provides a haven of serenity and relaxation. Its vast stretch of pristine white beach is reputed to be the best on the Palm Jumeirah, offering a wide selection of motorised and non-motorised water sports, a variety of beach and poolside lounging and a large temperature controlled swimming pool. Established in 2000, Rixos Hotels is a fast-growing luxury chain of hotels of the world. Intending to provide traditional Turkish hospitality to the guests in an excellent manner, the Antalya-based Group consists of 27 hotels in countries included without limitation Turkey, United Arab Emirates, Croatia, Switzerland, Egypt and Kazakhstan.